Founded in 2001, this family winery “Popov” and its vineyards are located in the heart of the Tikveš wine region on the outskirts of the village of Sopot, about seven kilometers north of Kavadarci. Here the winery owns and operates 45 hectares (111 acres) of select varietals with a capacity of 350,000 liters in crafting premium wines using a combination of Macedonian wine making traditions and modern technology. The picturesque setting of the winery in its own vineyards is the perfect spot for a wine tasting and to visualize the vine to bottle experience. A barrel tasting followed by a walk through the vineyards in the Macedonian sunset with a glass of wine is a romantic, immensely pleasurable and an enchanting experience. The winery offers wine tastings outdoors and also indoors for up to 50 people. For white wines, the winery vintages from the Chardonnay, Pinot Grigio (Gris), Sauvignon Blanc, Temjanika (Muscant Frontignan) and Zhilavka varietals. They also offer barriqued white wines with a choice of Chardonnay Reserve and Temjanika Reserve. Their line of rosé wines include, a Pinot Noir and the Popov Rosé. Excellent blending using the Balkan varietal, Zhilavka, was created in the ‘Emotion” vintage, a blend of Temjanika and Zhilavka and in the Vila Luna, a blend of Chardonnay, Temjanika and Zhilavka. For red wines, Cabernet Franc, Cabernet Sauvignon, Merlot, Pinot Noir, Stanushina, Syrah (Shiraz) and Vranec. The Stanushina has a great fragrance of wild strawberries and red raspberries. For barriqued red wines they have crafted a Cabernet Sauvignon Reserve, Cuvee Prestige, Grand Cuvee Reserve, Merlot Reserve, Pinot Noir Reserve, Vranec Reserve and a Vranec-Cabernet Sauvignon Reserve. The Merlot Reserve has a deep rich black ruby color, a wonderful aromatic introduction of black currant jam, is full-bodied, nicely dry and delivers a palate full of forest fruits. The Cabernet Sauvignon Reserve, deep dark ruby in color delivers a bouquet of wild cherry, black berry, blueberry and touch of red currant also delivers rich tannins and a multitude of forest flavors, predominantly currants and cherry with a touch of spice. The Vranec Reserve is a rich black plum in color with aromas of black forest fruits, currant and blackberry, has exquisite mouth feel and a longlasting herbal-woody exit. While most of their vintages come from the vineyards at Sopot, Popov has established two new domains from nearby vineyards, Smolnik and Vrshnik. From the Smolnik vineyards they have crafted a Chardonnay, a barrel fermented Chardonnay, Sauvignon Blanc and Temjanika. 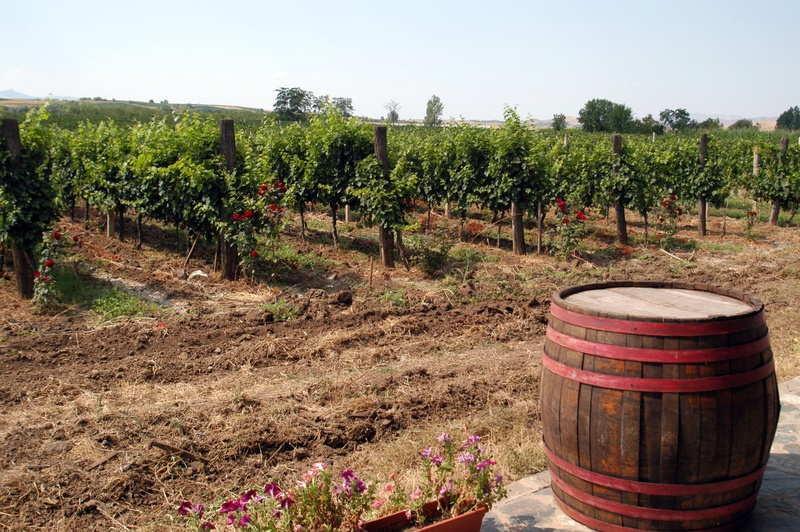 From the Vrshnik vineyards they have produced a white blend of Chardonnay, Sauvignon Blanc, and Traminec and a merlot explosive with forest fruits. Vinarija Popov makes wine for local and regional markets and exports to Belgium, Canada, China, Germany, Slovenia, and Switzerland. If you are unable to stop by the winery in Sopot, their wines are also available at their shop in Skopje.